With Bay Lake as its backdrop and Space Mountain and Cinderella Castle on the horizon, Bay Lake Tower at Disney’s Contemporary Resort is a futuristic fantasy — offering a richly “imagineered” experience through modern design, along with an enchanted setting right at the front door of Magic Kingdom theme park. 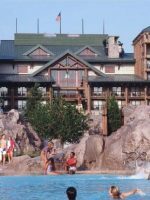 Opened in 2009, the 15-story, 295-unit resort is the seventh to debut among Walt Disney World Resort’s Vacation Club properties, offering studio, one-, two-, and three-bedroom villas for nightly rental to the general public. Following the progressive prototype of Disney’s iconic Contemporary Resort, the pristinely-positioned, crescent-shaped tower features ultramodern interior corridors reminiscent of a fantasy-inspired space pod. Within its concrete slabs lie 167 miles of post-tensioning cable — if routed directly, the far-reaching wires could run to Disney’s Vero Beach Resort and back. One- and two-bedroom villas sleep up to five or nine people, respectively, adding one to the maximum occupancy set by many other Disney Deluxe Villa properties. Three-bedroom, four-bathroom Grand Villas accommodate 12 guests on two levels of well-appointed luxury vacation living. From gleaming appliances and stylish furniture to calming tones and custom artwork, each villa is enhanced by contemporary design. This creates an ambiance of sophistication. Although it lacks some family-friendly features, like an onsite playground and quick access to a childcare center, there’s no question that this modern home-away-from-home resort is a front-runner when it comes to range of amenities and ease of theme park entry. 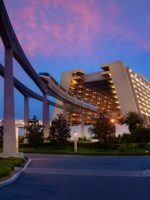 The hotel is within a ten minute walk of Magic Kingdom and connects to Disney’s Contemporary Resort and the monorail station via the Sky Way Bridge. Families enjoy an onsite activity center, sandy beach, pool access, water sports, dining and planned recreational activities at Disney’s Contemporary Resort next door. Bay Lake Tower visitors also receive special privileges at an onsite pool complex that’s open exclusively to overnight guests, featuring an interactive Mickey Mouse-shaped splash pad and a 148-foot waterslide that’s at the top of the world in thrill factor. From gleaming appliances and smart furniture to calming tones and custom artwork, each accommodation at Bay Lake Tower is enhanced by contemporary design, which creates an ambiance of sophistication. Floor-to-ceiling windows and enclosed balconies allow for excellent views of Bay Lake, Magic Kingdom and nightly fireworks. One- to three-bedroom villas contain a full kitchen, where a handy island with stools and an adjacent table with a wraparound bench provide plenty of elbow room for diners. One-bedroom, two-bathroom villas sleep up to five people, featuring a king-sized bed in the master bedroom with a Jacuzzi tub and shower in an adjoining bathroom. A second bathroom is accessible by an entry hallway. Living rooms feature a queen-size sofabed and a comfortable single sleeper chair. Niceties like a flat-screen TV, a DVD player and floor space for child play offer welcome respite for tired tourists. Two-bedroom, three-bathroom villas are available in two different layouts, sleeping up to nine guests. The first layout features two queen beds and a bath in a second bedroom. The other, a lock-off setup, substitutes a double-size sofabed for the second bed, featuring a kitchenette, a bathroom and a door to the outside corridor. Three-bedroom, four-bathroom Grand Villas accommodate up to 12 people, boasting bonus features like a grand dining table and a spacious two-story living room. With regard to family-friendliness, a few design features stand out as being potentially problematic: A wheeled ottoman in the living room serves as a storage area, as well as a likely vehicle for in-room amusement. Pullout pantries could be a curiosity, as well as a hazard for small fingers. Studios sleep up to four family members, plus a crib for guests under age 3. At 339 square feet, these are among the smallest accommodations in the Walt Disney World Resort Vacation Club portfolio. These rooms feature a queen bed, a double-size sofabed and a kitchenette. Kitchenettes showcase a sink, microwave, toaster and mini-fridge. The set-up is sufficient for small parties, but families of four or more will find more elbow room in a one-bedroom villa or a standard hotel room next door. For studio guests, a laundry room is located on the first floor and is accessible with a resort key card. Coin-operated detergent dispensers are provided, and use of the equipment is complimentary. In one- and two-bedroom villas, stackable washers and dryers are located in hallway closets, while three-bedroom villas contain a dedicated laundry room. All accommodations feature a balcony or a patio and a Pack 'N Play. High chairs are stocked in all villas, and bed rails are complimentary upon request. Wi-Fi is complimentary. With regard to location, accommodations with a Theme Park View are considered by many to occupy the most desirable (albeit priciest) location. 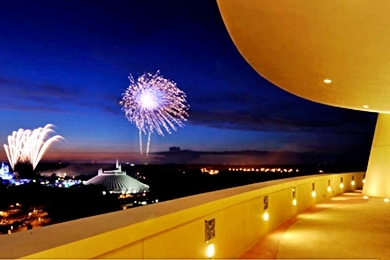 Along with a Magic Kingdom vista and a front row showing of the nightly Wishes fireworks show, guests residing in accommodations in this category also receive a view of the resort parking lot. 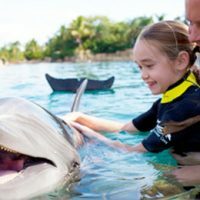 Tips: If you're traveling with stroller-age children, especially in fair weather, consider requesting ground floor lodging, which will provide elevator-free entry to the Bay Cove Pool complex, the pool and water sports complex at Disney's Contemporary Resort and the walkway to Magic Kingdom. 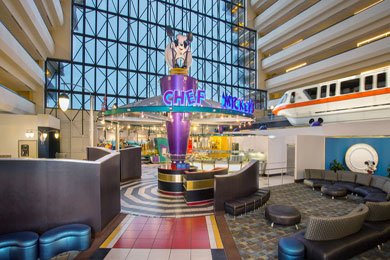 For convenient access to dining and the monorail, ask for an accommodation on the far side of the fifth floor. This will provide access to the fourth floor concourse at the adjacent Contemporary Resort via Sky Way Bridge, as well as insulation from frequent foot traffic. First time, but will be back! 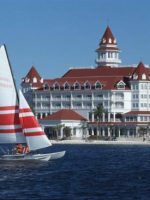 The 5-Stars I awarded may tell many TA readers enough of our opinion of Bay Lake Towers (BLT), but for those who seek details about a resort, please read on. Our family of six (2 grandparents, 2 parents and 1 child age 4.5 & 20-month old toddler) rented points for a 2-bedroom (Dedicated) suite for 5 nights last week. Our top criteria for a place to stay was location. The 10-minute easy walk to MK and nearby monorail, boat and bus stops at the attached Contemporary Hotel were just what we wanted. A small security booth along the walkway from BLT to MK avoided major lines others had to go through. Our unit #8244 had a beautiful, high exterior view facing the Contemporary Hotel and Bay Lake and was convenient to the bridge to the Contemporary. We were glad our room did not face the MK fireworks as the kids were usually falling asleep at that time to get rest for more early park days. There are plenty of other BLT spaces to see the fireworks with music, if desired. 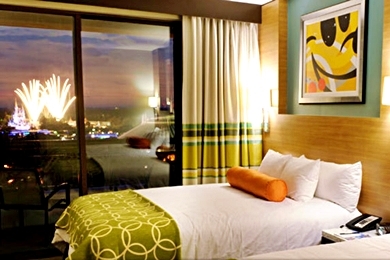 Our second criteria when choosing a hotel was ample living/sleeping space. We loved using our BLT kitchen and dining area which expedited breakfast and some quick dinners. We ordered groceries through Instacart which were stored briefly at the BLT Bell Stand and then promptly brought up to our rooms by Bell Services. The unit’s combined living room (with 2 pullout sleepers), kitchen and dining area was spacious allowing everyone to move freely. The 2 bedrooms with 2 queens or 1 king were adequate in size but having 3 bathrooms was nicer. The unit’s Pack ‘n Play crib just fit into the hall bath giving our grandson his “own room” for naps and nighttime. We were very impressed with the overall facilities at BLT. All common spaces and our unit were extremely clean. We requested daily trash removal service since DVC rentals do not usually include daily Mousekeeping. Elevators were rarely full, so staying on the 12th floor was no problem. Although there is only one food option at BLT, the Contemporary Hotel is so close that was not a bother. BLT does not have the elaborate theming found at the Polynesian or Wilderness Lodge resorts, but we easily visited those for dinner/snacks via boat or monorail. For us, BLT exuded the calm, clean environment that we needed after a fun but busy day in the parks. The BLT pool was nicely heated and not crowded during our April stay. Even the biggest pool slide was manageable for our pre-school granddaughter. The little slide was a big hit with toddlers. There was plenty of safe outdoor patio space to run around and explore when some afternoons were a bit cool to swim. One time we brought the kids to the BLT Community Hall to do crafts, but the toy Princess Castle and Disney Candy Land game captured most of their attention. Our experience with the BLT front desk was very good. The check-in was a bit slow as it took time to find out the status of our room’s readiness, but we got access quite soon after arriving at 3 PM. There were 2 times we needed adjustments to our plans and each time a CM named Bob, from Canton, MI, was on duty with a helpful demeanor and knowledge of what to be done. He gave us a tip or two for the parks which came in very handy. 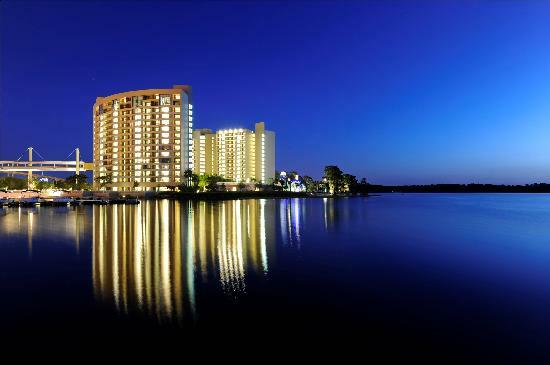 I would definitely recommend any larger family, especially those with multi-generations, use Bay Lake Tower for its excellent location, spaciousness and attention to details. We did feel welcomed and “at home” just like the WDW Cast Members said each day as we walked through the lobby doors. At this private 93,162-gallon, zero-entry pool, reserved exclusively for Bay Lake Tower guests (resort key card required for entry), kids can ride the curves of a 148-foot waterslide (one of the slickest in all of Walt Disney World), enjoy a shorter accessible slide, and splish-splash in a Mickey Mouse-shaped, water jet playground. Staff-led activities range from Rubber Ducky races to Name that Tune contests, and regular pool parties feature kid-friendly games and music. Bocce ball and shuffleboard courts are located in the Courtyard, and on the pool deck, there's a Ping Pong table. Lighted tennis courts are nearby. Guests can check out equipment at Community Hall. Swim diapers are required for children who are not potty-trained. Baby and toddler supplies, including diapers, are available at Fantasia Market from 7:30 a.m. to 11 p.m. Pool hours vary, and lifeguards are on duty when the slides are open. Swim vests are complimentary, and restrooms contain changing areas and lockers. Wii, Playstation 2, foosball, daily arts, crafts activities and tot-sized tables stocked with coloring supplies are fun diversions at this family activity center, located on the first floor near the pool complex. Children under age 12 must be accompanied by an adult -- although besides crafts and movies, there's little to do for children under age 5. DVD's and barbecue utensils are available for rental. The family activity center's hours are 9 a.m. to 10 p.m.
Beside Bay Lake, there's a stretch of sandy beach where small children can play. Meanwhile, adults can take a load off in a lounge chair and watch from the sidelines. It's a nice spot to view the nightly Electrical Water Pageant pass by, which takes place at about 10 p.m.
Next door at Disney's Contemporary Resort, guests will find a host of additional planned activities and recreational options. The resort hosts a large pool complex with a slide, interactive splash pad, marina, water sports center and top-notch arcade with a sizeable prize counter. Stationed on the pool deck, this snack and beverage bar and refillable mug station offers light lunch selections and kids meals. Snacks are also served, and include apple slices with caramel dip, vegetable sticks with ranch dressing, frozen novelties and fresh fruit cups. Choices for adults include salads, wraps and sandwiches. Kids' Picks (ages 9 and under) include a hot dog, PB&J and turkey sandwiches. Kids meals come with a drink, grapes and carrot sticks or a cookie. Cold drink options include lemonade, an orange freeze and a non-alcoholic raspberry and Pina Colada flavor smoothie. More quick options can be found next door at Disney Contemporary's Sand Bar. Regular hours are 11 a.m. to 7 p.m.; the bar closes during inclement weather. Order up a plate of miniature Mickey waffles for the kids for breakfast, or surprise them in the afternoon with milk and Mickey-shaped brownies. Lunch and dinner options for kids (under age 10) range from chicken nuggets and a cheeseburger to grilled chicken breast and a fruit plate. Grilled cheese and PB&J sandwiches are served on rainbow bread. Kids meals are served with fresh fruit or French fries and a drink. If you're celebrating a special occasion, you can order up a white chocolate monorail with gourmet truffles, a hand-painted white chocolate Disney character or strawberries "dressed" in tuxedos, with or without an accompanying chocolate Disney character. Make sure to let the hotel know in advance -- 24-hour notice is customary. Room service is available at all hours, with a limited menu from midnight to 6 a.m. For those who prefer to plan ahead, orders can be placed in advance for later-day delivery via the resort's Magical Dining service. Reserved exclusively for guests who are Disney Vacation Club members, this 16th floor Tower lounge offers special views of the nightly Wishes fireworks show at Magic Kingdom, complete with piped-in music. Beside Bay Lake, you'll find a covered pavilion with picnic tables. Charcoal grills are nearby. Barbecue tools can be borrowed at Community Hall. Charcoal and picnic essentials are available for purchase at Fantasia Market. Order essentials before you arrive, and save time, as well as trouble. Local grocery delivery options include Gardengrocer.com, WeGoShop.com and Goodings.com. Limited groceries and baby and child essentials can also be found at Fantasia Market. Expand your options and your palette next door at Disney's Contemporary Resort, where choices range from coffee stands to fun-filled character buffets to fine dining experiences with views of the nightly Wishes fireworks show. Overnight guests enjoy a number of special perks, like early-entry and late-stay theme park privileges, deemed Extra Magic Hours. Guests also receive free onsite transportation, free parking and the opportunity to participate in a Disney Dining Plan with a Magic Your Way Package. Additional family-friendly privileges include online room check-in up to 10 days in advance, resort airline check-in, the opportunity to make FASTPASS+ reservations 30 days in advance, and airport transportation service via Disney's Magical Express. 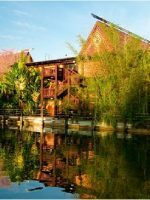 Guests can utilize the childcare center located at Disney's Polynesian Resort nearby. Babysitting is available for kids ages 3 to 12, and services run 4 p.m. to midnight. A two-hour minimum reservation is required and a complimentary dinner is served from 6 to 8 p.m. for kids. Alternatively, the Cub's Den at Disney's Wilderness Lodge (open 4:30 p.m. to midnight) is accessible by boat from the resort. 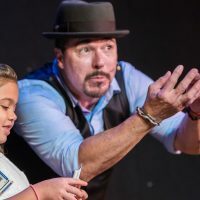 Kids Nite Out, an independent agency, provides in-room resort childcare, as well. A tad pricier, this company requires a four-hour minimum and a small fee for nanny transportation. This third-floor space at Disney's Contemporary Resort offers exercise equipment, as well as massages and facials by appointment. Access is available all day and night with a venue-activated resort Keycard or Magic Band. When traveling to Walt Disney World Resort, it's best to avoid peak travel periods. Generally, these times include holidays and the summer months -- typically when schools are out of session. If you do opt to visit in summertime, pack sunscreen, hydrate frequently and, unless you want to squander your souvenir money on ponchos at the parks, don't forget your rain gear. Fortunately for travelers on a budget, the least expensive times to visit Walt Disney World theme parks tend to coordinate with dates when crowds are the lightest. If your kids aren't in school yet, September is a great time to visit. 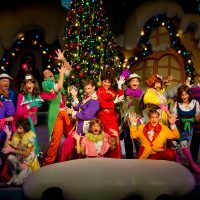 Another prime time is after Thanksgiving through early December, when parks and resorts are decked out in holiday splendor. Rates at this Deluxe Villa property rank at the top of the World price scale. 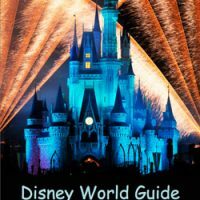 Check the "Special Offers" section on the Walt Disney World website, where substantial discounts are available during specific seasons. If you can't swing an accommodation with a Magic Kingdom view, you can still enjoy the nightly Wishes fireworks show in relative comfort. Try the sitting areas near the Tower elevators on the fifth floor and above, the Sky Way Bridge or the Fourth Floor Observation Deck. Free roundtrip airport transportation via Disney's Magical Express (a motor coach) is available to guests. Advance reservations are required and limited hours apply. To reach the resort by car, take the South Exit Road from Orlando International Airport to SR 417 Toll Road (GreeneWay) West and follow signs to Magic Kingdom/Disney's Contemporary Resort. Plan on about $3 in tolls. Check-in is at Disney's Contemporary Resort next door. Bell Services will transport your luggage to the Tower, but be forewarned that there may be delays. You can drop your luggage off, then park next door in the Bay Lake lot, or park and carry it yourself. If you're carting kids along with your luggage, the trek can be tiresome, since for safety reasons, the resort doesn't provide luggage carts to guests for this purpose. Families can reach Magic Kingdom Park in less than 10 minutes by a walkway or by boat. The Transportation Center and Epcot are a short monorail ride away. Free transportation to and from Disney's Hollywood Studios, Animal Kingdom, Downtown Disney and many water parks is provided by bus. Boats also depart regularly for Fort Wilderness and Disney's Wilderness Lodge. 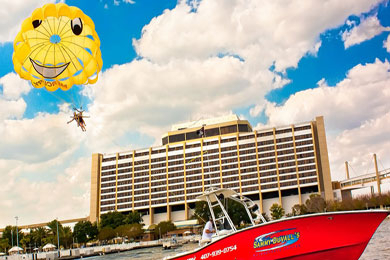 Enjoy a leisurely dinner at California Grill, or, for a once-in-a-lifetime experience, book a tandem parasailing adventure at Sammy Duvall's Watersports. Call 407-939-0754 for reservations.